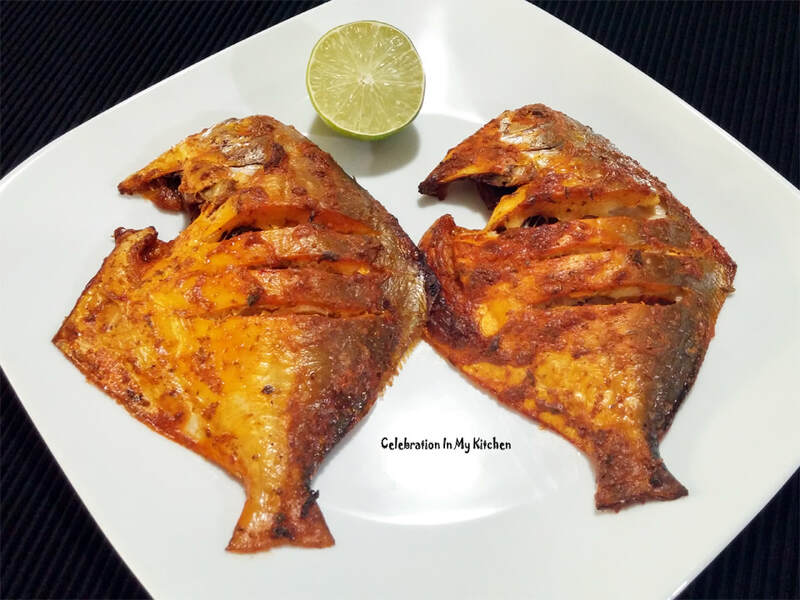 If you are a seafood lover, you will enjoy tandoori fish. 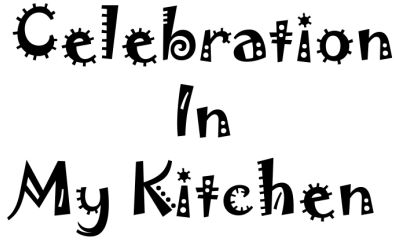 Even children who are not fond of fish, relish this dish. 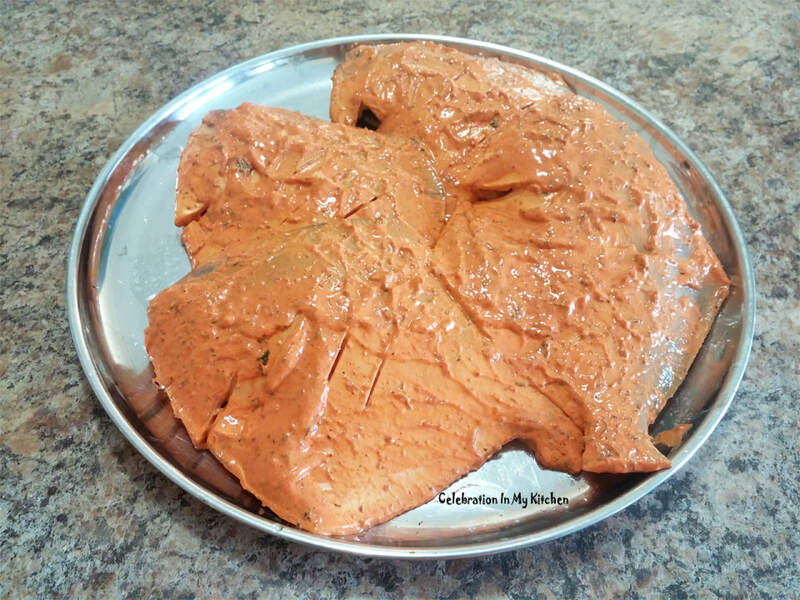 Avoid using the commercial tandoori powders and pastes when it is so easy to prepare the marinade. 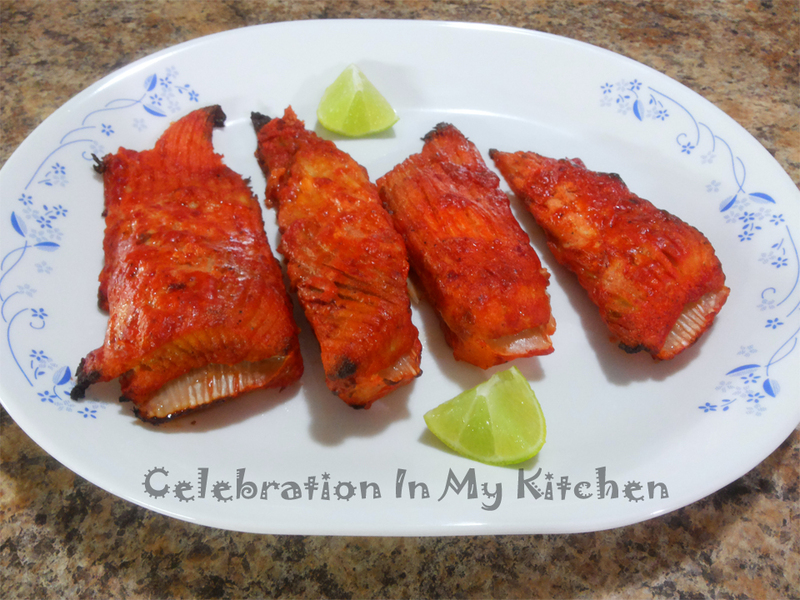 Without a tandoor at home, the fish can be baked or grilled which is healthy and nutritious. 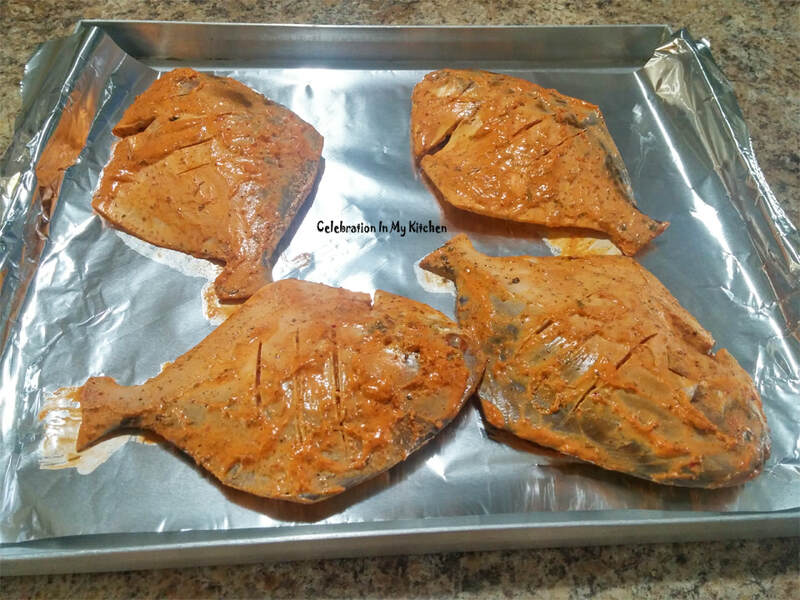 Firm-fleshed white fish are ideal for tandoori. I have even used skate fish (pictures below) and it is utterly delicious. Marinating the fish with the paste is important to flavour it. Once the fish is baked or grilled, it can be served garnished with a sprinkle of chaat masala and lemon wedges. Fish is a rich source of protein, vitamins, minerals and heart healthy omega-3 fatty acids. Olive oil added to the paste provides an extra dose of healthy fat. A seafood diet reduces the risk of heart disease, lowers high blood pressure, improves symptoms of inflammatory diseases, good for your joints, maintains eyesight, preserve moisture in the skin and may prolong life after a heart attack. Try to incorporate seafood in your diet on a regular basis. Mix the yogurt, spice powders, oil and lemon juice to prepare the marinade. Line a baking tray with aluminum foil and lightly grease with oil. Place the marinated fish in the prepared tray. Bake in the oven till cooked and slight charred, around 20 to 30 minutes. Alternatively, the fish can be grilled on a barbecue. 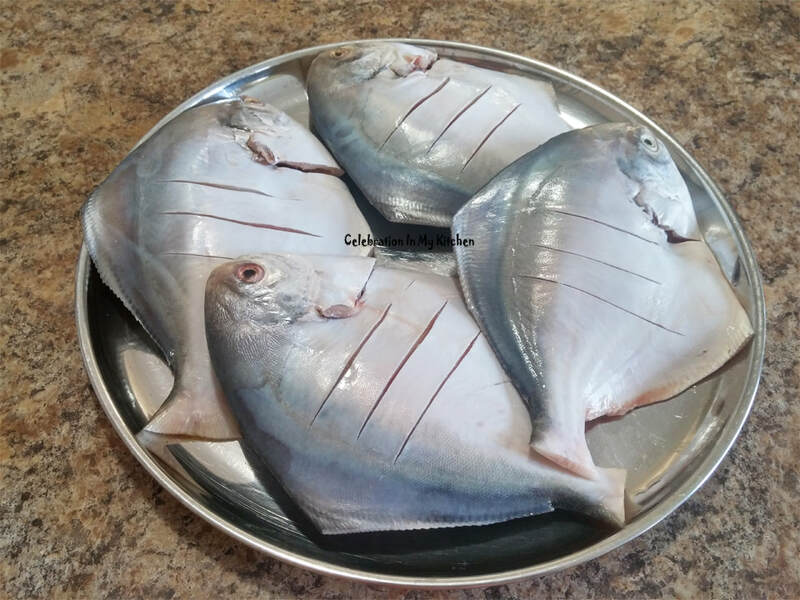 Silver pomfrets can be substituted with golden pompanos or skate fish (last picture above).